On February 24, 2018, a diverse group of volunteers gathered at Madison College in Madison, Wisconsin for the 2018 World Spay Day. It was sponsored by the HSVMA and run by Madison Cat Project (MCP), an adoption guarantee organization dedicated to working in the community to find homes for all the cats who come through their doors. They promote the humane care and adoption of all cats, but also specialize in the care of free-roaming cats and targeted trap-neuter-return programs. Their monthly spay/neuter clinics are one way in which the many MCP volunteers help the community at large, as well as community cats. The regular team of MCP volunteers were joined by local veterinarians, certified veterinary technicians, twenty-three veterinary students from the University of Wisconsin School of Veterinary Medicine, and twenty-three veterinary technician students from Madison College to spay and neuter fifty-nine cats for this World Spay Day event. “It is always a thrill for me to see so many members of the veterinary profession come together to help cats,” says MCP Spay Day supervisor, Dr. Karen Hershberger. The Spay Day began early; set up for the event starts around 7:00 am. A few veterinarians, veterinary students, and veterinary technician students set up the rooms that will be used for the spay day. Aisha Hill, a veterinary technician student in her last semester of school, prepares the surgery room, checks and sets up the anesthesia machines. She will also be monitoring patients during the spay surgeries for the day. 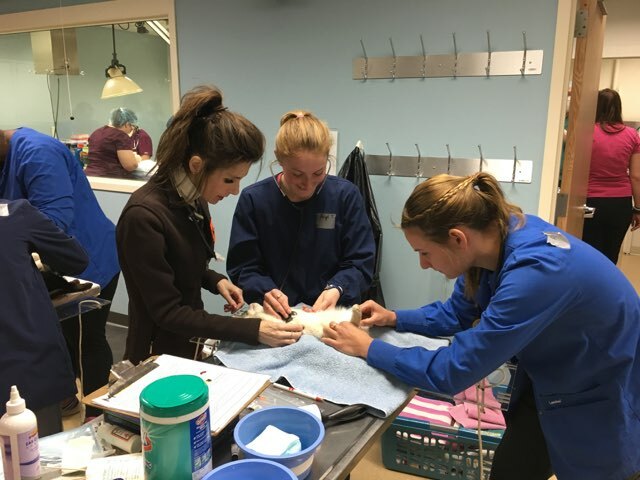 The second year of school for veterinary technician students at Madison College provides training on surgical preparation, anesthesia, and pain management. Volunteering at MCP spay days is a wonderful opportunity for the students to practice what they have learned outside of class, give back to the community, and provide important veterinary care for cats. Aisha has enjoyed her time volunteering as a student at spay days and plans to continue to donate her time as a CVT at Spay Days once she graduates. 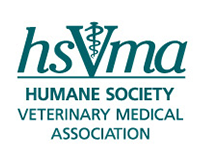 Kelly Dulli is a CVT as well as a second-year veterinary student at UW Madison SVM. She is originally from Racine, WI, but has lived in Madison for fifteen years. She began volunteering for Madison Cat Project as a veterinary technician student at spay days in 2010, and has continued to volunteer as a CVT and veterinary student. After graduation, she plans to specialize in shelter medicine.